Canon Dr Owen Spencer-Thomas, MBE, is journalist, writer and broadcaster. He became Director of Communications for the Diocese of Ely in 2001. This included the role of Press Officer to the Bishop as well as handling media enquiries on behalf of the Diocese. His responsibilities also involved generating a range of opportunities for the Church in broadcasting and the press. He edited the Ely Ensign, the monthly news magazine for the Diocese, from 2002 until 2006. Since retiring from this post in March 2011, he continues to work as a freelance writer and broadcaster. He has written a range of useful­ articles which are publishe­d on the Ely diocesan website and on this site. Ordained in the Diocese of London in 1972/73, he has wide experience in the field of communications and in particular with television and radio broadcasting. Owen spent nearly twenty years as a television and radio news journalist and was senior reporter on Anglia News and Anglia TV’s regional magazine programme About Anglia. He also presented the late night religious programme Reflections on Anglia Television. 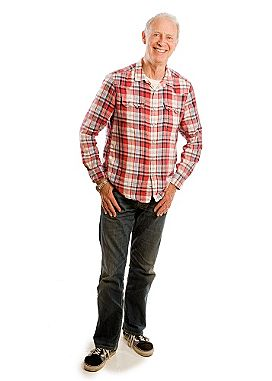 On BBC Radio 4 he has been a regular contributor to You and Yours and Sunday programmes. Owen has presented religious and ethics programmes on Thames Television and Southern Television. He has reported for Independent Television News. Before entering full-time broadcasting, he was Director of the London Churches’ Radio Workshop which produced programmes for local radio and trained clergy and other Church leaders to appear on television and radio. He joined BBC Radio London as religious producer in 1976 and devised and presented a radio phone-in programme, Sounding Brass, in which listeners requested their favourite music from a live brass band in the radio station’s famous Marylebone High Street studio. Owen served his curacy at St Luke’s Church Redcliffe Square, London and was also Lecturer in Religious Studies at the South Kensington Institute. He has been resident in Ely diocese since 1978. In the Parish of the Ascension, Cambridge, he assists as honorary team priest and has held several school chaplaincies. He was also Chaplain to Christ’s College, in the University of Cambridge, for four and a half years until 31st December 2001. Owen became acting Dean of Clare College, Cambridge, during the Lent Term 2005 and acting Dean of Trinity Hall, Cambridge, during the Easter Term 2006. He was made an Honorary Canon of Ely Cathedral in February 2004. Born in East Hertfordshire, Owen comes from a farming background. After attending Christ Church Cathedral Choir School, Oxford, from the age of eight, he continued his education as a teenager at Ardingly College, West Sussex. He studied at the Royal Agricultural College, Cirencester. Before going to Westcott House and Fitzwilliam College, Cambridge to study theology in 1970, Owen graduated in sociology at The Polytechnic, Regent Street, (now the University of Westminster) where he helped to establish its Students’ Union. He became its first elected President, a sabbatical post, in 1966. In 1967 he was one of the principal organisers of the successful nationwide campaign to reverse the Government’s decision to impose a fourfold increase in overseas students’ fees. 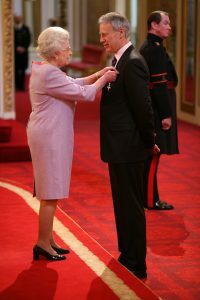 Owen receives his MBE from HM Queen Elizabeth II. Press Association photo. Photo credit: Martin Keene / PA Wire. He is a member of British Equity, The Royal Television Society, The National Union of Journalists and The Society of Teachers of Speech and Drama. He became a member of British Mensa in 1980. The practising jurnalistsUniversity of Westminster awarded him a Doctor of Letters (DLitt) in January 2010. He was made a Member of the Order of the British Empire (MBE) in the Queen’s 2008 New Year Honours. Owen is married to Maggie; they have three adult children. He led a successful regionwide fundraising campaign which led to the establishment of the first specialised accommodation and day care for adults with autism in Cambridgeshire. If you are a practising journalist, media studies student or just wanting to get your story into the public domain, you will find my professional website of interest. It contains a wide range of useful articles, including an essay on Fake News which I’m currently expanding to include the threat it poses to free debate. I’ve recently updated a comprehensive article on News Values – first compiled in 1999 – which discusses how journalists decide which news stories to publish. or broadcast media. My website also contains a range of useful media tips for those wanting to work in the changing world of news journalism.